HEPA filters used in the home significantly reduce fine-particulate matter in the air compared with non-HEPA air filters, study finds. — Denitza Blagev, MD, pulmonary researcher at Intermountain Medical Center. SALT LAKE CITY, UT, USA, October 8, 2018 /EINPresswire.com/ — Outdoor air pollution is a major contributor to indoor air pollution – but high-efficiency particulate air (HEPA) filters used in the home significantly reduce fine-particulate matter in the air compared with non-HEPA air filters, according to a new two-year study led by researchers at Intermountain Healthcare’s Intermountain Medical Center in Salt Lake City. For the study, researchers monitored air quality for 12 weeks in the homes of enrolled patients who had respiratory problems. They found that the HEPA filters reduced fine particulate matter by 55 percent and particulate pollution outside coming inside was reduced by 23 percent. Fine particulate matter, also known as PM2.5, are small airborne particules often found in areas with heavy air pollution levels. The size of PM2.5 particles is roughly 3 percent of the diameter of a piece of human hair. When inhaled, they can lead to respiratory problems, heart attacks, or exacerbate symptoms of people who already have respiratory problems like chronic obstructive pulmonary disease or asthma. In the winter in Utah, temperature inversions often trap cold, dirty air inside the Salt Lake Valley – which gives Utah some of the worst air in the country. During these inversions, researchers tested the efficiency of HEPA filters inside the home. Results of the study were presented on Sept. 16th during the European Respiratory Society's International Congress in Paris. 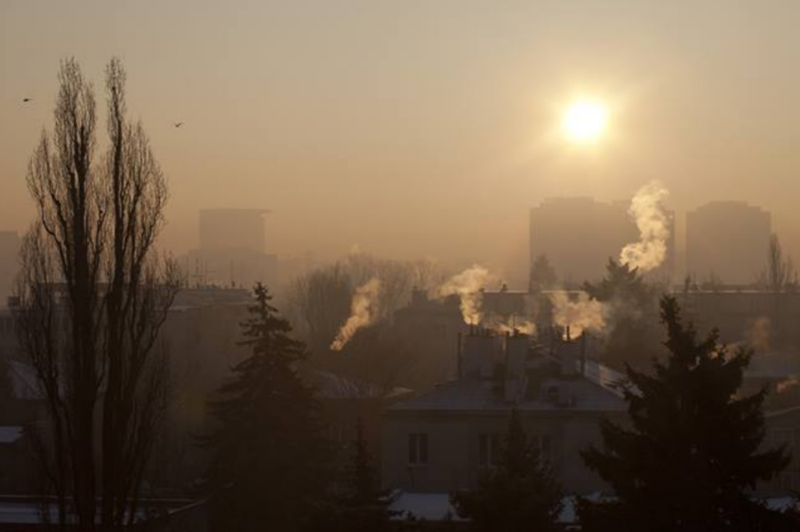 Data from 30 participants enrolled in the study showed that when HEPA filters were used during the winter inversion months, only five percent of indoor air PM2.5 could be attributed to outdoor air quality, compared to 28 percent when HEPA filters weren’t in use. During the 12-week study, which occurred during the winter inversions of 2016 and 2017, air filters were placed in 52 Utah homes. A HEPA filter was used for one six-week period and a low-efficiency air filter was used during the second six-week period. The study participants weren't aware of which filter was being used during each period. Each participant's home was also outfitted with two low-cost air quality monitors. One was placed just outside the home and the other was placed inside. Differences in the quality of indoor and outdoor air were compared during the 12-week study period. Dr. Blagev stresses that while the HEPA filters help reduce PM2.5 inside the home, everyone should make efforts to improve the overall outdoor air quality in their communities. Other members of the Intermountain Medical Center team involved in the study include Daniel Bride, Danielle Babbel, and Benjamin Horne, PhD; and Daniel Mendoza, PhD, from the University of Utah.